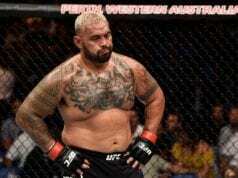 UFC heavyweight Mark Hunt is once again on the comeback trail, this time he’s scheduled to face Antonio ‘Bigfoot’ Silva in a rematch of their 2013 classic. 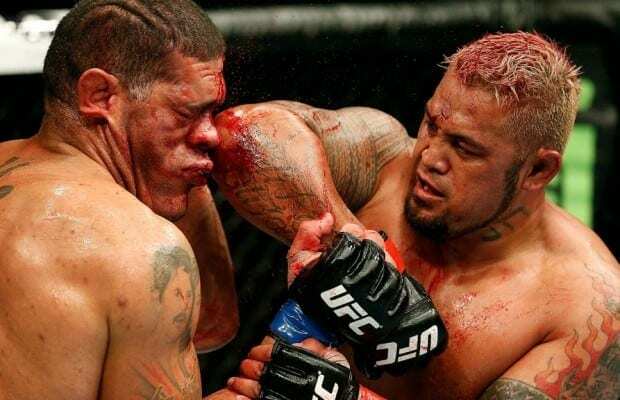 Having lost a brutal and one sided beatdown against Stipe Miocic in his last UFC bout, ‘The Super Samoan’ has something to prove against Silva at UFC 193. Playing in Hunt’s favor is the backyard advantage of Melbourne, Australia, where his popularity is rife. For years now ‘The Super Samoan’ has wowed fans with his heavy hands, but has often been known to slow in the later rounds. His large frame gives Hunt a great power advantage, but it doesn’t make good for marathon slugfests when the opponent’s chin holds up. Sure it’s entertaining to watch, but a little more serious cardio work and the Pride FC legend could see his top form. Fans of Hunt will be happy to see this video then, as Hunt looks to be in the best shape of his career. The gut is very much reduced, nearly gone, and he looks nimble as he moves. American Kicboxing Academy’s Thailand branch seems to have been putting Hunt through his paces. The sister club of the famed San Jose, California based gym is now headed by ex-UFC fighter Mike ‘Quick’ Swick. Check out the video courtesy of AKA Thailand.